Make life easier, rent a surf board for your holiday! Are you planning to go surfing during your stay in Guethary? Don’t weigh yourself down on the journey, just plan ahead by renting a board when you reserve your room at Hotel Balea. Martin is a surfing and skateboarding fan, and more recently a Basque Pelote enthusiast as well. He studied international business which enabled him to travel during his studies. After a year in Australia, a series of jobs in the boardsports industry and the creation of a few businesses and organizations here and there, he decided to create Martysurfdelivery.com. He came up with the idea after a surfing trip that left him well aware of how transporting equipment can be complicated and costly. 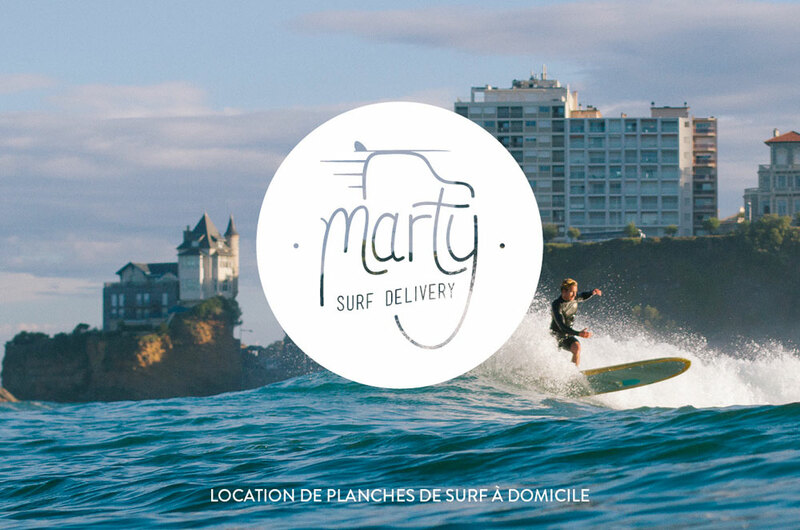 The Marty Surf Delivery concept provides foreign and domestic holidaymakers with a surfboard rental and home delivery service through an online reservation system. All types of surfboards are provided (high-performance, hybrid, beginner, etc…), as well as wetsuits, bodyboards and stand-up paddle boards. The idea is to make like easier for surfers who no longer have to lug around equipment during their trip and can instead rent high-quality boards: Qraft, Al Merrick, boards by local shapers. Hotel guests can choose this rental service at the same time as they book a room through the hotel’s reservation software. Marty delivers the board directly to the hotel for you! Furthermore, if you wish to rent a wetsuit (brand: C-Skins) or another type of bodyboard or stand-up paddle board, contact hotel reception directly by calling +33 (0) 559 260 839.